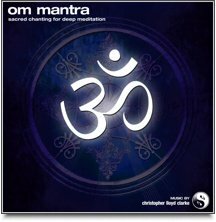 A profoundly relaxing Om MP3, Christopher Lloyd Clarke's timeless classic "Om Mantra" is one of our most popular downloads of all time. This sublime mantra was created so that you may absorb yourself in the mystical sound of Om chanting. It’s a wonderful way to experience a deep state of meditation. Simply take a seat somewhere comfortable, close your eyes and allow the sound of the Om chant to fill your mind. This Om MP3 is also available with binaural beats for an even deeper meditation experience.